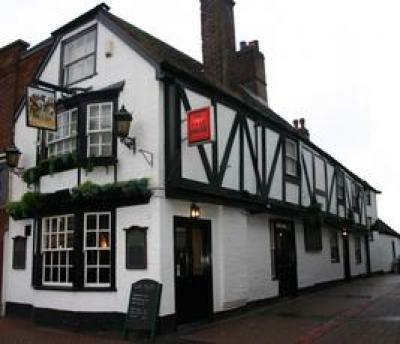 The Wat Tyler Inn is one of Dartford’s oldest buildings. When the landlord wanted to make more use of the upstairs accomodation to increase the amount of guest rooms, there was problems with meeting Building Regulations as well as issues with National Heritage. Triangle Fire Systems worked with officials from the Kent Fire Brigade and National Heritage and agreed a suitable fire sprinkler design that could satisfy the Fire Authority and National Heritage. Pipe routes were agreed with National Heritage which was difficult as only floor boards that had previously been lifted could be lifted for the sprinkler system pipe work. The sprinkler system is supplied from a water storage tank and fire pump housed in the cellar.